This is the last post of the Fall Favorites series. And I definitely saved the best for last: FOOD! So, of course, I was intrigued when I first learned of G.H. Cretors Limited Edition Popped Corn flavors. The one I was most interested in? 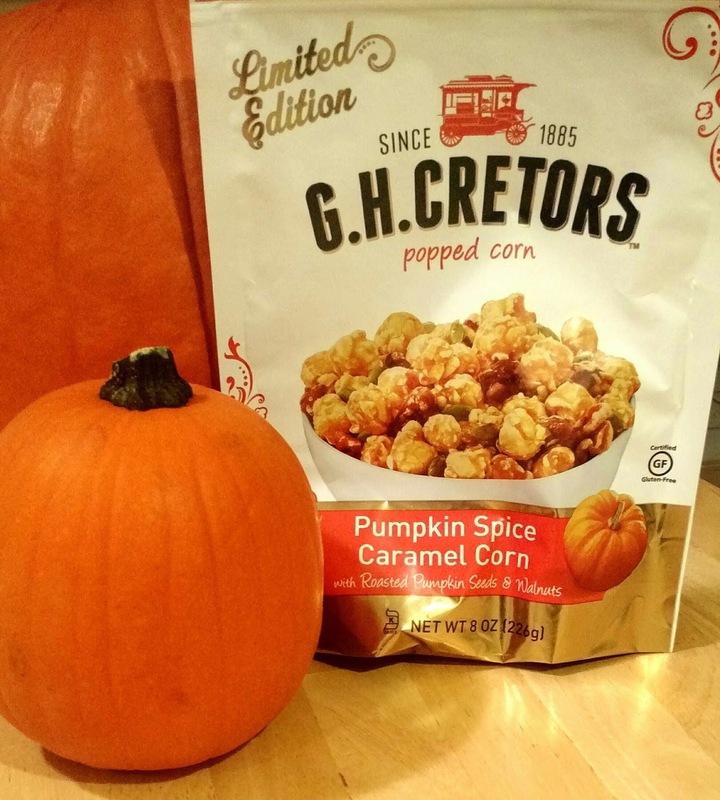 Pumpkin Spice Caramel Corn, of course. Now, to be honest, I didn't know quite how pumpkin spice popcorn was going to work out. But I was super curious. So I dove in and hoped for the best. G.H. Cretors Popped Corn is sold in Target, Whole Foods, and local grocery store. Check them out online here.